Now that #StartupAct is finally here, what’s next? Qui est le premier président de la république? Je ne sais pas. Communiqué de presse | La Casa de Linguas 1.0 : The Talk! Review | Que vaut le premier épisode de la saison finale de Game of Thrones? Review | Fast Track mobile game. عزّام سوالمية : « نجاحي هو ثمرة الفشل المتكرر »! « سديم » هو برنامج إكتشاف مواهب عربي ومسابقة بين مجموعة من صنّاع المحتوى على وسائل التواصل الإجتماعي. تمّ بثّ أول حلقة من الموسم الأوّل في 4 مارس 2018. يندرج البرنامج ضمن صنف تلفزيون الواقع. حيث يعرض ردود أفعال طبيعية لمتسابقين في بيئة وظروف يحدّدها المنتجون. ولعلّ أشهر هذه البرامج في العالم العربي « ستار أكادمي » الذي تنتجه مجموعة قنوات LBC اللبنانية. لكن ما يميّز « سديم » هو إستقلاله عن وسائل الإعلام التقليدية، و عدم بثّه على التلفزيون، إنّما يتمّ نشر يوميات المتسابقين والحلقات الأسبوعية على قناة اليوتوب الخاصّة بالبرنامج كل سبت. هذا الإختيار الذي حرص عليه القائمون على هذا المشروع يبرز سعيهم إلى الوصول إلى الشباب عبر محتوى إلكتروني بحت. وكما هو الحال في معظم برامج تلفزيون الواقع، الجمهور هو الحكم، ويتمّ التصويت عبر موقع الواب sadeem.com. يذكر أنّ مشروع « سديم » قائم على شراكة مع مواقع التواصل الإجتماعي الكبرى فيسبوك، تويتر، يوتوب و إنستغرام. 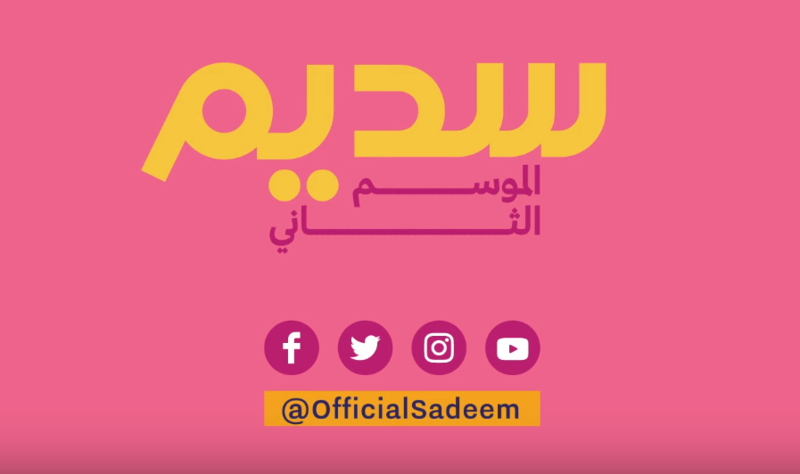 كما يتمّ إنتاجه بالشراكة مع مجموعة Endemol Shine المنتجة لبرنامج MasterChef الشهير. الجديد في الموسم الثاني مشاركة أربعة من صنّاع المحتوى التونسيين في هذا الموسم، هم يسر فرجاني (YoTips)، سيف بن عمّار(Hor cujet)، علاء الدين العربي (The Vmaker)، ربيع بن إبراهيم (The Dreamer Wild and Free). هذا العدد الكبير من المتسابقين التونسيين أعطى دفعة أكبر لمتابعة البرنامج خاصّة بعد الحادثة التي وقعت بين قناة « الحوار التونسي » و المتسابق سيف بن عمّار. حيث قامت القناة التلفزيونية المتصدّرة لنسب المشاهدة في تونس بنقل محتوى فيديو لـ « Hor cujet « ، ثمّ قامت بمهاجمة قناته على اليوتوب في نفس الأسبوع الذي أنطلق فيه بثّ « سديم ». تلك الحادثة أحدثت موجة كبيرة من التعاطف مع سيف، وجلبت إهتمام الشباب نحو هذا البرنامج و أحدث « شعب الهريسة » إكتساحا لرابط التصويت ممّا تسبب في سقوط خادم الموقع. لم أرغب يوما في الكتابة. هي فقط وسيلة للنسيان. Friday April 5th, 2019 marked the official launch of the long-awaited Startup Act, one year after its entry into force. A ceremony was held to this occasion at the « Dar Edhiafa » palace under the aegis of the head of Tunisian government who announced the launch of the Startup Act law and its online portal www.startupact.tn making it possible for anyone to apply and benefit from the various administrative and tax advantages provided by the law. 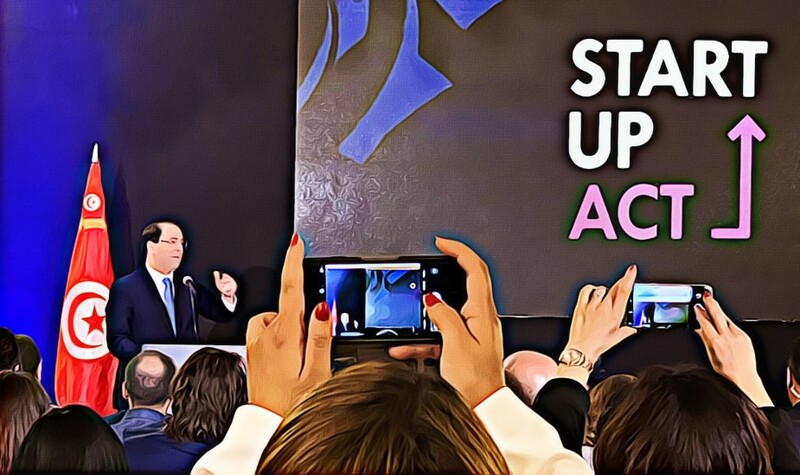 Startup Act is a legal framework dedicated to Startups in Tunisia. It provides a strict definition for a “startup” and compels it to a label of merit named the “Startup Label” to which Tunisian registered companies apply after fulfilling five main criteria, namely the company’s age, its size, financial independence, innovation and scalability. Startup Act is built with the aim of facilitating and encouraging the creation, development and internationalization of Tunisian Startups by providing numerous benefits to entrepreneurs, startups and investors as well. This 20-measure law grants labelled Startups from exemptions to corporate taxes, permits the creation of a foreign currency account, allows both private and public sector employees up to a year off from their current jobs to run their outfits, provides a government-sanctioned salary to founders and helps firms file for international patents; along with several other provisions. The College of Startups, a commission declared under Article 6 of Law No. 2018-20 of April 17, 2018, was responsible for the review and approval of the applications and approving the “Startup Label” for those meeting the announced criteria. The commission is composed of 9 members covering business experts (entrepreneurship, innovation, investment and support) as well as representatives from both public and private sector. Enova Robotics (Robotics Industry): Designing and manufacturing mobile robots operating in the fields of safety, health and logistics. DataVora (e-Commerce): Offering a platform for competitive intelligence/monitoring and pricing on a large scale for e-Commerce players. PolySmart (Gaming): Producing Top Down 3rd Person Shooters games for PC. BWS: Be Wireless Solutions (IoT): Industrial and is an IoT operator offering integrated real-time object monitoring solutions for energy optimization. Ezzayra (AgriTech): Development and integration of technological products (Software, Hardware and Robotics) for agriculture. MedilSys (HealthTech): Providing hospitals with the most innovative solutions in clinical information systems specialized in intensive care. Dabchy.com (e-Commerce): A fashion marketplace allowing women to renew their wardrobes online and safely. VitaLight Lab (BioTech): A unique laboratory on the border between marine biotechnology and natural and refined dermo-cosmetic care formulation using high efficiency stabilized actives. PayPos Tunisie (FinTech): Development of innovative electronic payment solutions and digitalization of compatible banking and financial services (PCI-DSS, EMV …). NextGen Corp (m-Education): Specialized in the development of education-entertainment mobile apps for children with learning disabilities. Nostatik Media (IT): Symmetryk, a platform for exchanging documents between headquarters, subsidiaries and field teams. RoamSmart (Telecom): Assisting mobile operators in the digital transformation of their roaming business through innovative SaaS solutions. It only seems like yesterday, during the 2018’s Tunisia Digital Summit, when the tunisian government announced its « revolutionary » measures to digitalize the administration services allowing online extraction of vital records (the Birth certificate as a start), mobile money transfer services across all postal and bank accounts pushing towards a cashless economy, and the adoption of electronic seals through QR codes to replace the certified copies for legal and administrative documents. So much of a « digital innovation » for the era of Artificial Intelligence, Blockchain and Cryptocurrencies. One year later, none of those promises actually saw the light. Startup Act itself was the result of a 3-year-long journey. The reflection on the Startup Act began in 2015 following several requests from the emerging ecosystem of Startups in Tunisia to have a specific and propitious legal Framework. Now that Startup Act is finally here: It somehow feels like we simply created a false problem to get us aside from the original one. If, yesterday, the question was how to get a startup through the hustle of starting and pass the mountain of all the legal and administrative autorisations needed just to to move from ideation to early execution. Today, it seems that the label « startup » itself is no longer a given. And if we’re trying to be less naggy and faultfinding, we would still argue that problems just cannot be solved with the same mindset that created them in the first place: Another additional step has been annexed to the already-overwhelming startup journey along with a relatively ambiguous selection criteria and scoring proccess that would naturally leave room for misinterpretations and fuel accusations of nepotism and favoritism. So if Startup Act isn’t about those those early-stage dreamers/visionaries and small business owners still struggling to get their feet on the ground and spending endless nights making an impact right from home, then why are we even talking about it? We sure would be more optimistic and consider this to be a promising first step, but then we would need to make sure the next ones, if any is yet to follow, won’t take as much long. Hopefully our legislators do realise that the world out there is currently exploding in terms of technology breakthroughs and that by the time they plan their next move, we’d have much bigger issues to worry about. Needless to remind that the Tunisian administration isn’t exactly known to be an easy adopter of technology, or change to start with. Noting that, sadly but quite true, Tunisia still operates Under the Foreign Trade and Foreign Exchange code (law No. 76-18). A law that dates way back to January 1976. So until the we manage to bring the administration to the 21st century, any so-called innovation will simply fail to integrate, or at least to properly serve its purpose. Sometimes it’s just worthless to keep patching an old broken machine, when all you need is a new one. Tunisia‘s change makers, a glimpse of hope.. The good side to this is that hard times do indeed make strong men, and women. Startup Act weren’t to make it this far already if it wasn’t of a massive collective effort backed by continuous lobbying from the entrepreneurial ecosystem in Tunisia over the course of many years. It also is definitely worth mentioning that these initiatives emerging from the local ecosystem do in fact date back way before the Startup Act project including, but are not limited to, the work on creating and launching the International Technology Card (CTI) on 2015 to allow international financial transactions but mostly providing Tunisian developers access to merchand accounts (such as Google Play and Apple’s App Store) and be able to monetize their mobile apps (through Ads and in-app purchases techniques for example) and therefore make money out of it which was nearly impossible to do prior to the CTI card, at least in a manner that complies with laws and regulations. It seems like, for once, refreshingly promising actions are actually coming from within: from those who are subject to the actual daily constraints depriving Tunisian entrepreneurs from the very basic rights and needs for a 21st century citizen. And it would be fair to claim that this post-revolution generation, arguably the most desperate and underrepresented generation of the country’s modern history, has had enough of playing by old-school rules that do not seem to be going anywhere better anytime soon and have decided to take matters into their own hands changing one bit at time. It probably is still early to foresee how this would advance and what the upcoming few years might bring along. But one thing for sure, the battle has just begun and the updates are worth following. Better yet, stepping in, as every effort is considerably needed, and contribute to building the Tunisia we long for. Coup de cœur de la semaine : Mashup musical des feuilletons tunisiens !